Can you confirm these amateur observations of Varanus zugorum? 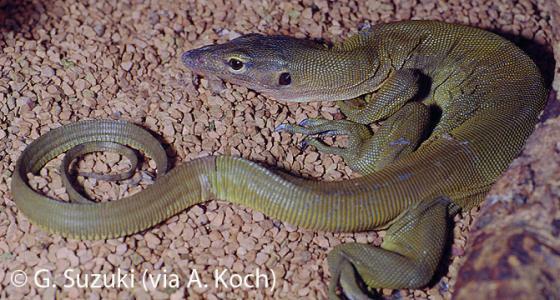 Comment The type specimen of this species has originally been identified as Varanus indicus and deposited under that name at the USNM. Etymology Named after George S. Zug and his wife Patricia. For biographical details see Mitchell 2018.